N.A., a Turkish literature teacher who was left unemployed after her school was shuttered as part of the post-coup emergency rule, was detained when he stopped by Konya’s Ereğli prison to visit her imprisoned husband, İ.A, on Thursday. İ.A., a former accountant at the same school has been under arrest for some time, according to Turkish media. With N.A. jailed, the couple’s two children –10-year-old and 6-year-old– were left to fend for themselves. It has been common occurrence that Turkish police round up suspects when they visit their relatives in prison. On Jan. 23, Ayfer Yavuz was also put in jail along with her four-and-half-month-old infant when she went to Kars prison to visit her husband. Meanwhile, İ.A.O. was detained when she stopped by the Trabzon prison on Valentine’s Day in a bid to visit her husband H.O., who had been earlier jailed as part of the government’s post-coup witch hunt. Turkey survived a military coup attempt on July 15 that killed over 240 people and wounded more than a thousand others. Immediately after the putsch, AK Party government along with Erdoğan pinned the blame on the Gülen movement, inspired by US-based Turkish Islamic scholar Fethullah Gülen. The movement denies the accusations. 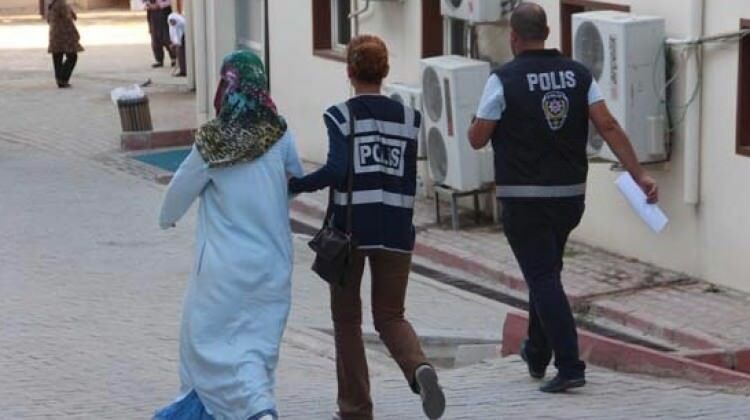 Over 128,000 have lost their jobs due to their real or alleged connection to the Gülen movement since the coup attempt while 91,650 were detained and 45,000 arrested.